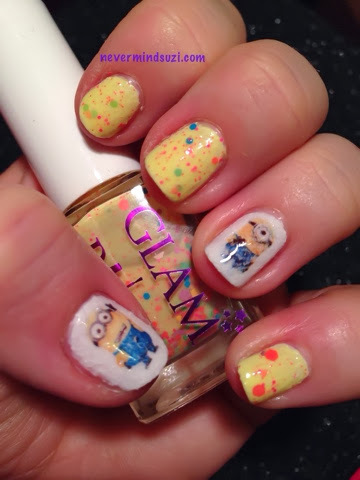 This is a mani that I wore to the 3rd birthday party of my favourite princess!! Last year I went with My Little Pony, this year minions. I'm using yesterday's Sugar Fix mani as undies. 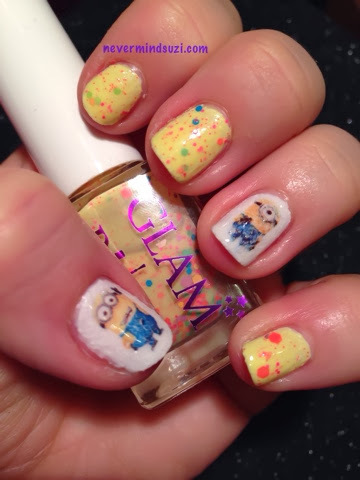 Ba-na-na is an old skool banana milkshake yellow jelly (thanks Louise for the awesome description) with candy coloured glitters throughout. 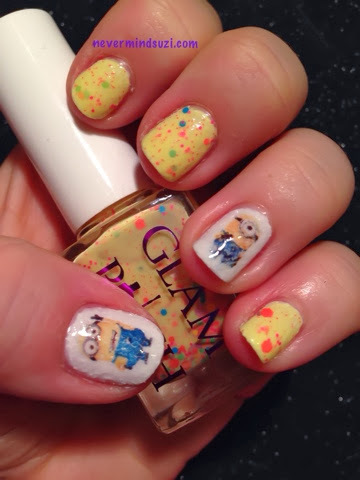 These Minion decals were bought on ebay a wee while ago, they didn't love the textured polish base but I left doing them til the last minute so I went with it. 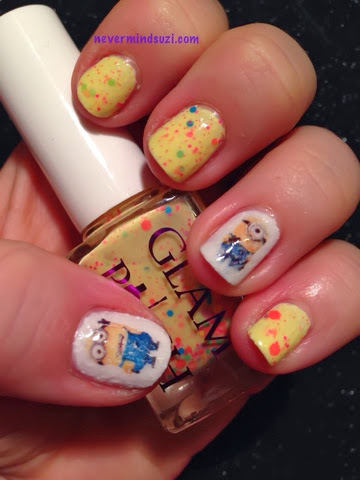 The kids didn't notice, they just thought Minion nails were awesome!